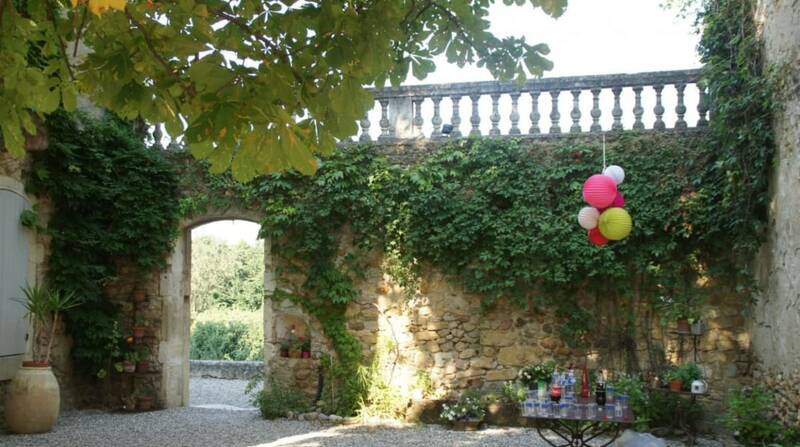 For weddings, seminars, family reunions, birthdays, room rental, do not hesitate to visit the website Evènements Lamartine. The Western courtyard with the main house as backstage, framed with two imposing towers proudly displaying its sun-baked stones, will offer a genuine and welcoming place for your guests, for your families, for your associates, their very first contact with the property and a sight they will never forget. 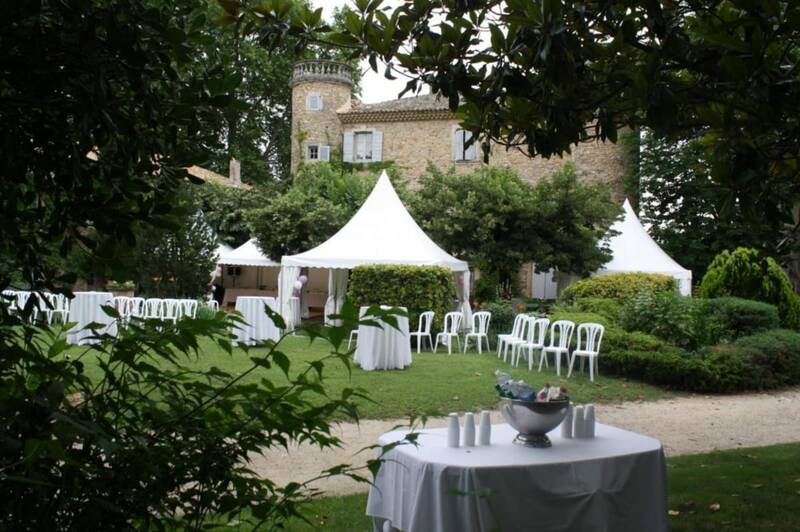 This courtyard is particularly well suited for welcoming receptions, cocktails, vin d’honneur, and for afternoon or evening parties. The Eastern terraces, with majestic alleys of hundred year old plane trees reaching for the undisturbed nature and endless characteristic fields, opening on a discreet and well landscaped in-ground swimming pool, will be the place of choice for romantic evening gatherings or leisure times. The Eastern terraces and grounds offer a wide range of possibilities and plenty of space for tables and chairs, tents, dance floor, bands and D.J. and catering facilities. There is plenty of space to suit most festive requirements. Safety first: at the end of the party, our “chambres d’hôtes” and other lodging facilities will give you complete peace of mind, providing your guests with comfortable lodging facilities and keeping them safe and off the road (we can accept up to 30 persons). 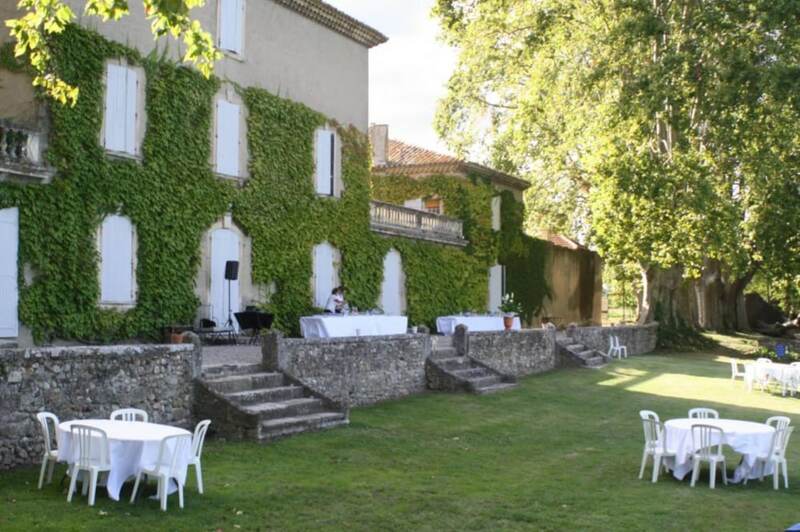 Of course those lodgings are then booked entirely for the event: we would not think of mixing regular and party guests in the “chambre d’hôtes”, each one with its own noise! 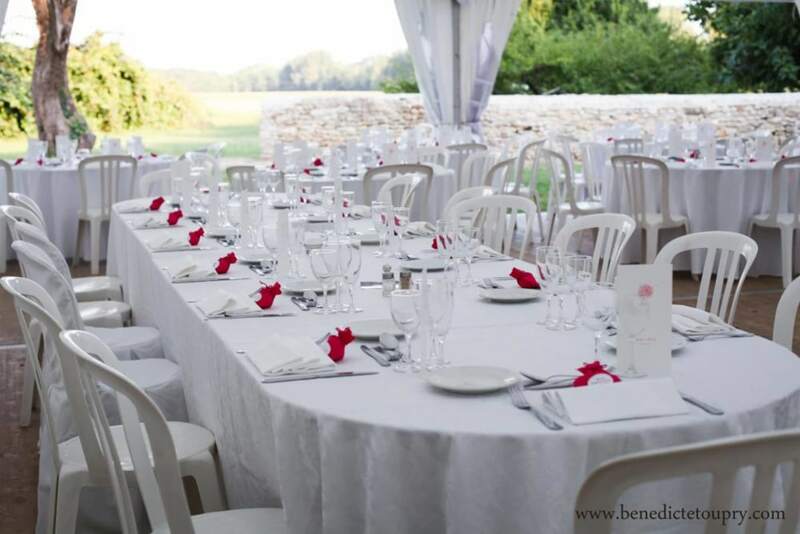 Our large space “La bergerie”, with a 90 personns capacity – according to tables and sitting arrangements – is the perfect place for a mariage, for your family events, meetings, seminars and gatherings. With a kitchen area, adaptable furniture, meeting tables, it can lend itself to many uses.